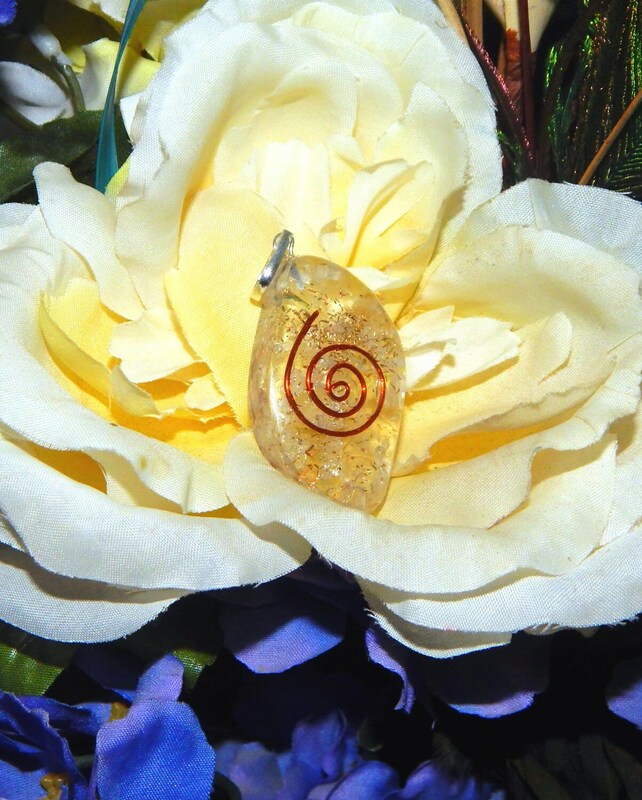 This beautiful Orgone pendant is hand-crafted with genuine top grade clear Quartz and copper. It has been fashioned in the shape of an 'evil eye' talisman, also known in many cultures as a nazar. 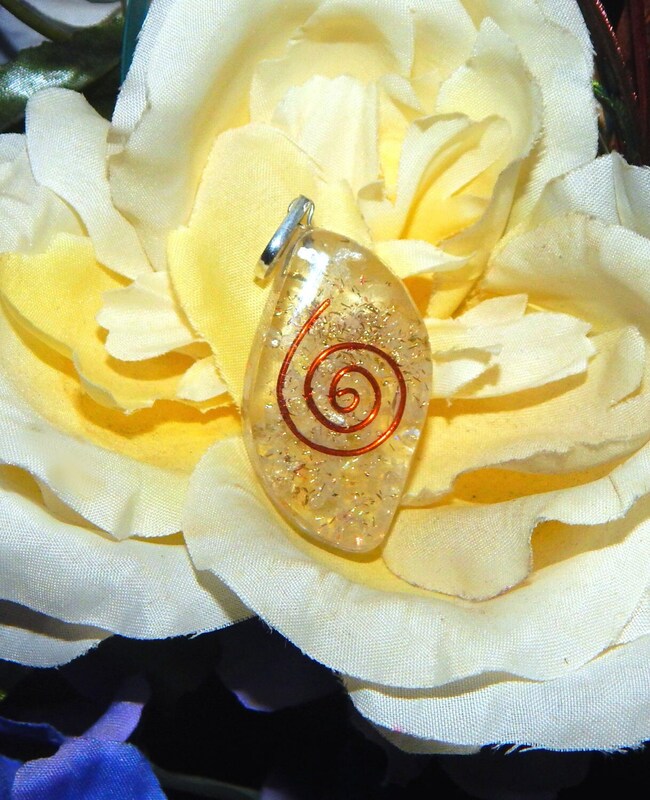 The reiki applications of Quartz suggest this stone as a 'master healer' to the emotions, body and mind; aiding in reducing stress, increasing vitality, balancing each of the chakras and providing lovely high vibrations to connect one to all forms of universal energies. Includes faux leather necklace cord with extender chain, 18' inches in length. 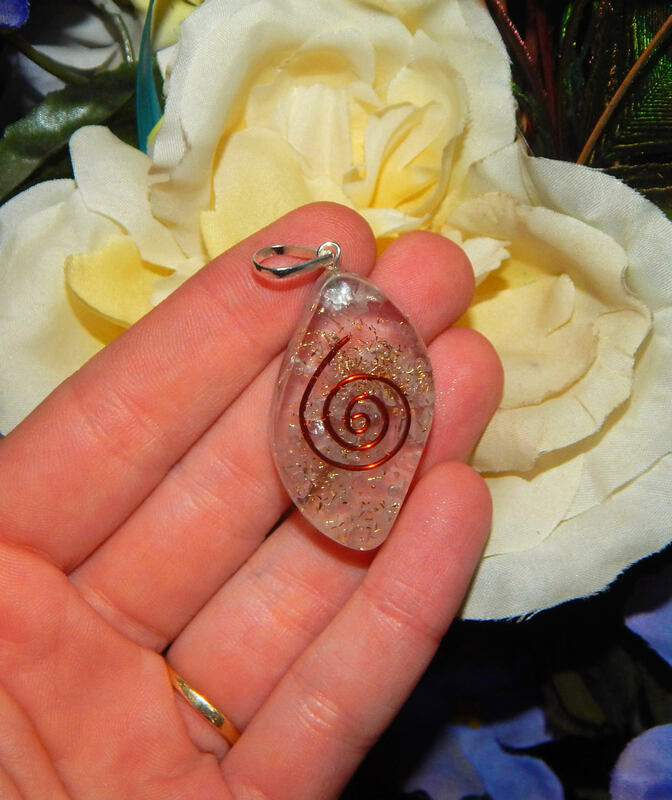 Each pendant is hand crafted, patterns and slight color variations may occur compared to the photos.